One thing I have noticed since playing A Link to the Past again is the extreme absence of something I had just gotten used to: loading screens. The entire game is, more of less, seamless. You just keep on going without too many breaks in it besides the occasional telepathic communique from someone. Otherwise, it is a lot of walking and sword-swinging. It’s refreshing. The introduction of optical media really introduced us to loading screens as the consoles needed to load the larger textures from slow media. Larger capacity coupled with slow disk drives really killed the “flow” of games. I distinctly remember how different it was playing a Final Fantasy game on the Playstation compared to The Legend of Zelda on the N64. Granted, I liked both games. As the graphical capacity of the games has gotten greater, the information involved has gotten larger, and the disks have gotten bigger. Sadly, game consoles don’t carry the amount of RAM needed to load the entire game up before you begin and so you get longer and longer loading screens. 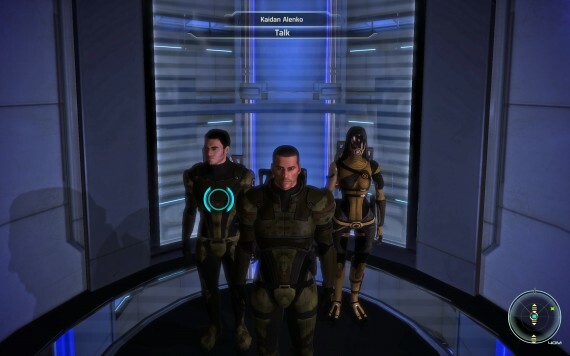 A game that tried to mask loading screens was the Mass Effect series. The first time you rode in an elevator you were essentially sitting through a slightly-interactive loading screen. of course, they were still there throughout the game, but it was clever. However, with the next batch of technological advances are we going to see the removal of loading screens (within reason)? Will the advent of viable SSDs, dropping price of RAM, and multi-core processors allow a game to both load faster and and also do more in the background. With digital downloads, will disks go away and thus allow faster access to the data again? One can only hope. Of course, there are other hurdles involved, but it looks like there might be a time in the future when loading screens are a thing of the way past … and just the past as well. Yeah, it’s nice to know the Game industry jumped onto CDs and DVDs just before flash drives and SD cards took off. Think of how different things would be if the xBox 360 used SD cards instead of DVDs. It’s a great point. I am hoping that the upcoming consoles will address this, but I think the Wii U might, once again, be a step behind. The confluence of technologies are there to make loading screens a thing of the recent past, but the question is if the consoles will include them. It also depends on the programmers making it a priority to use some of the parallel processing power to be dynamically loading content while you are playing. Kind of like caching the game based on what you might be doing next.